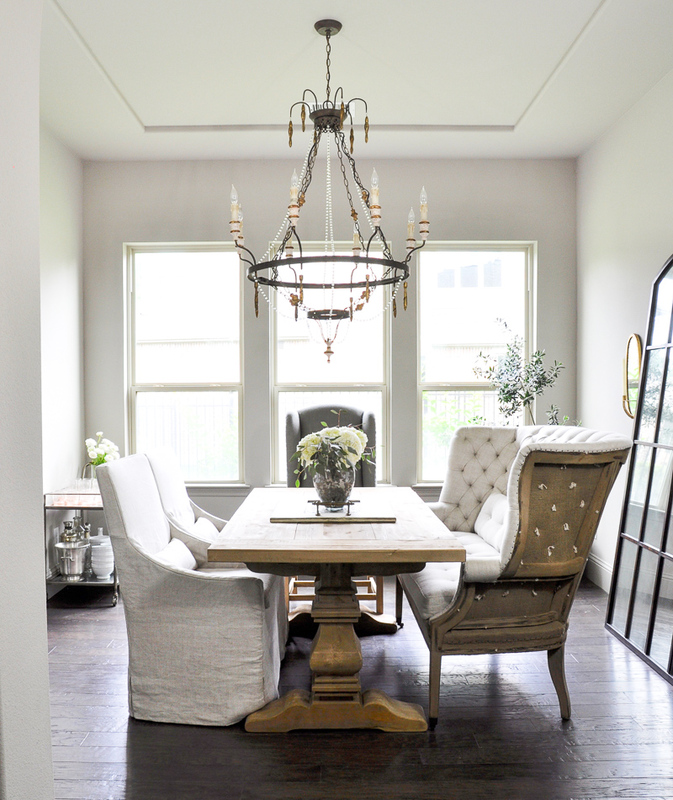 Would you like to use your dining room more than two times per year? Doesn’t the dining room deserve a bit more attention? We love spending time in ours and our guests seem to enjoy it as well. 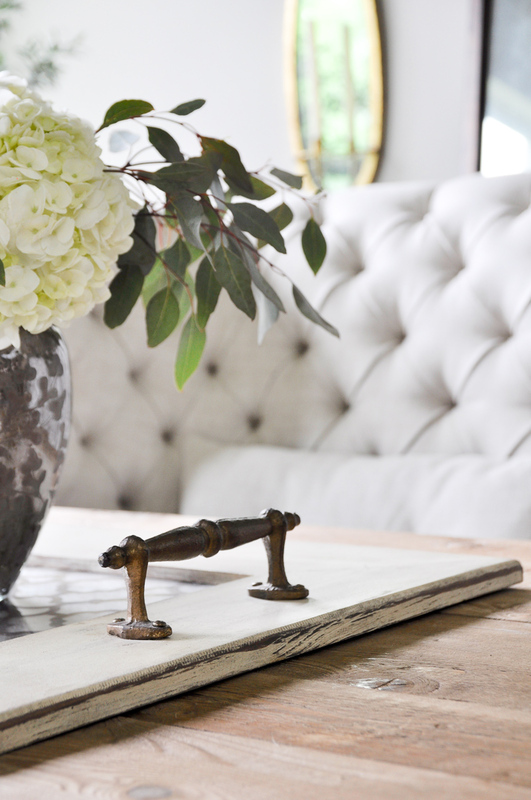 Today, I want to continue my home tour series with you and pick up in our dining room. Located just past our home office, this space sits right at the end of our extended foyer prior to entering the family room. 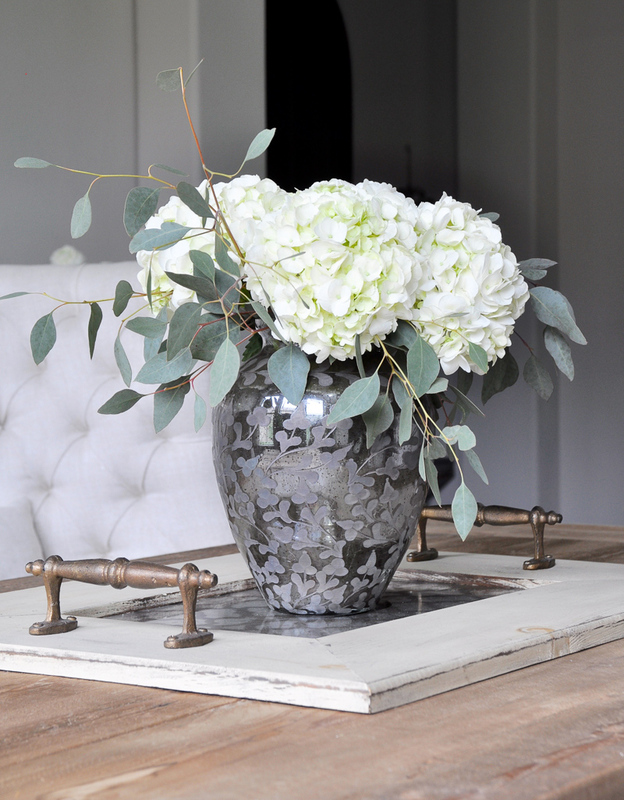 I wanted to create a space that would feel welcoming and offer a certain amount of intrigue at the same time. I accomplished this with an understated eclectic approach which was not too artsy. All of the above pieces work wonderfully together and if you would like to shop the look, each of the items are listed on my sources page. Now, let’s get started. My hope is after this tour you will want to visit your own dining room on more than just special occasions or holidays. If you have specific questions, feel free to log them into the comments section below. 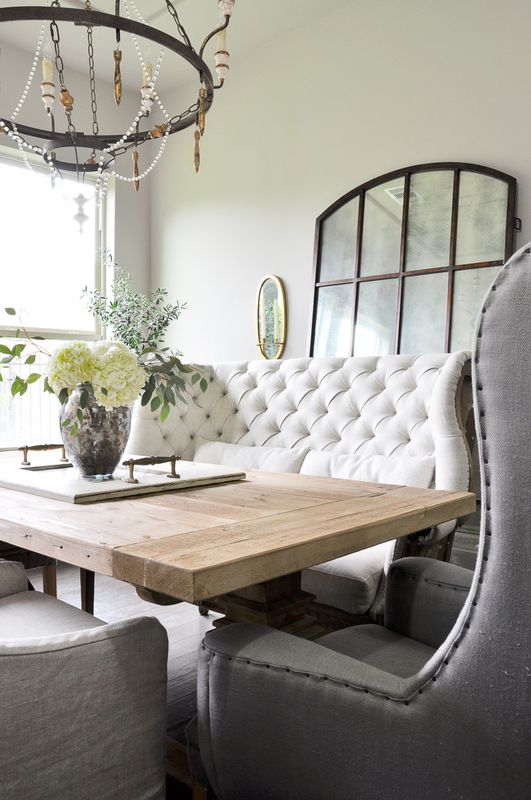 I chose to use an eclectic mix of seating options starting with this tufted settee, which is probably my favorite piece of furniture in our home. You can read more about this seating option here. 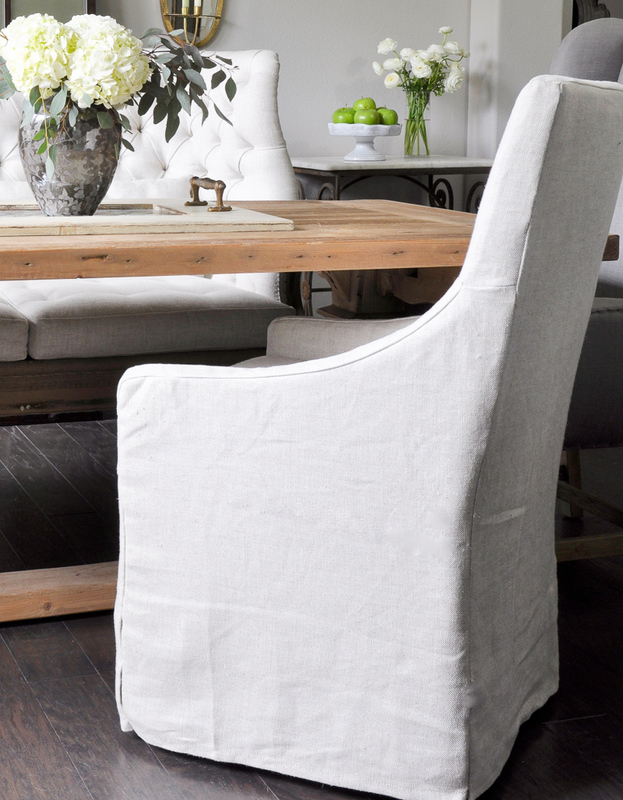 Our side chairs are simple with slipcovers. 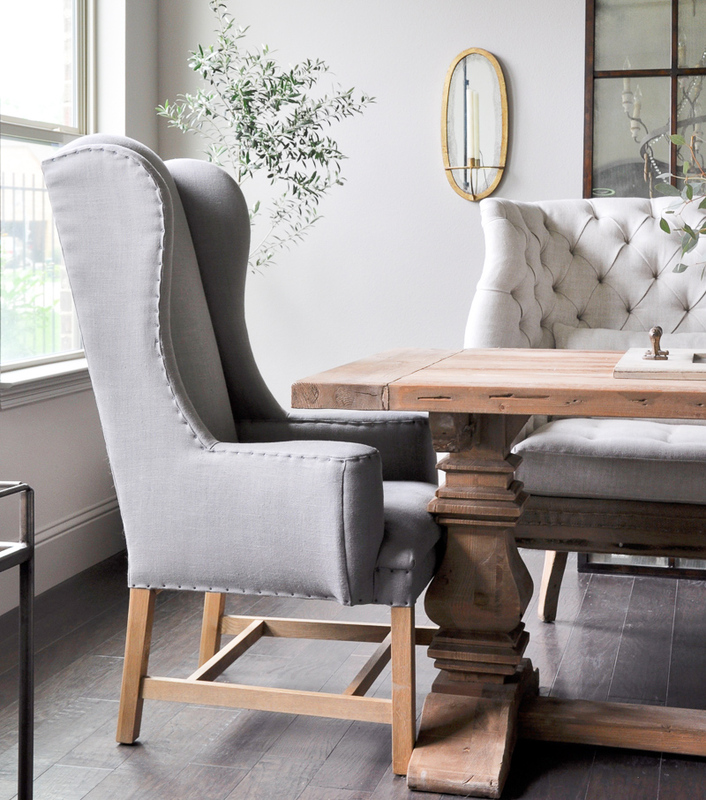 My original plan included wingbacks with the same linen fabric as the chaise and the side chairs, but then I saw this gray fabric and immediately knew what to do. 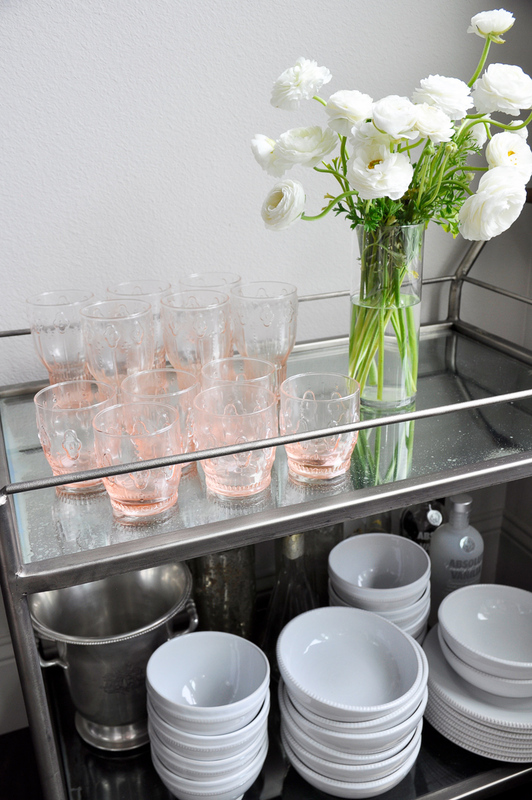 Looking from the mirror wall through the opening to the kitchen, you come across my bar cart. I had been eyeing this wonderful addition for years now. Thankfully, the hubby surprised me with it this past Christmas. It is so functional and it is a piece that truly lets your creativeness run rampant. Due to the inherent mobility, this guy makes appearances all over our home! 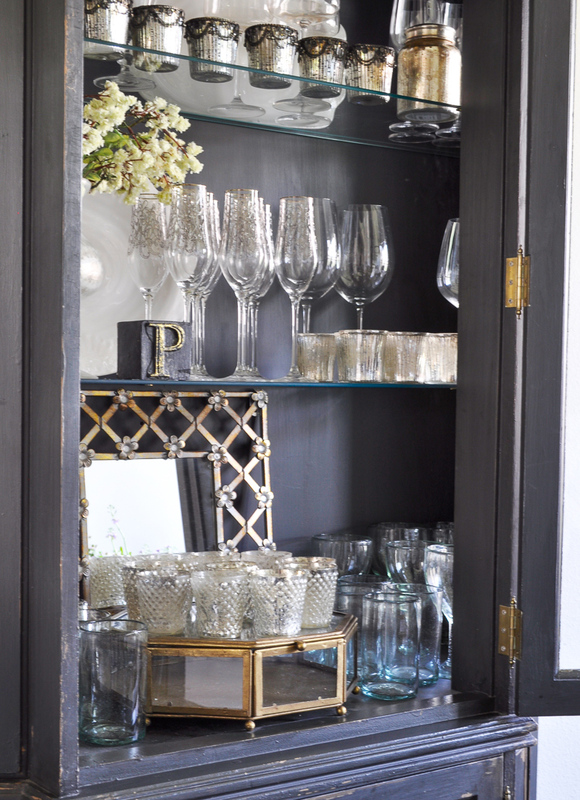 The main storage piece in the room was originally bright yellow and I used chalk paint to transform it. 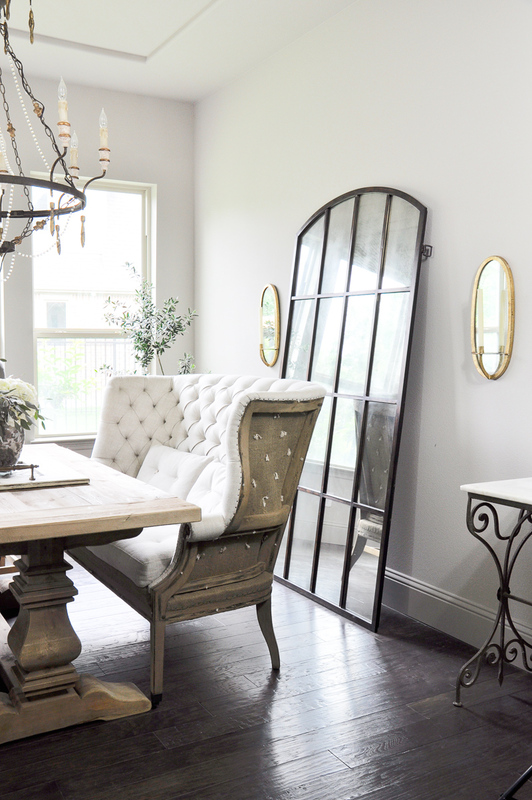 A leaning mirror and a little vintage table complete the right side of the room.I added gold mirrored sconces for a glamorous touch. Thanks for taking a tour of my dining room! I hope you enjoyed it. Please find sources below and on my Dining Room Sources page. *Some affiliate links have been included. Jen!! This space just took on a whole new light for me with your amazing photographs! 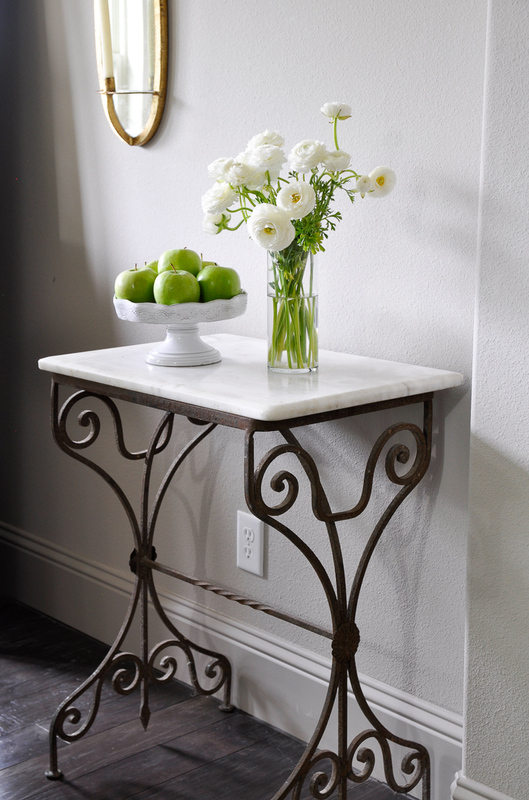 Love every single detail and don’t be surprised if you see one of those gold sconces popping up in my home soon as well! 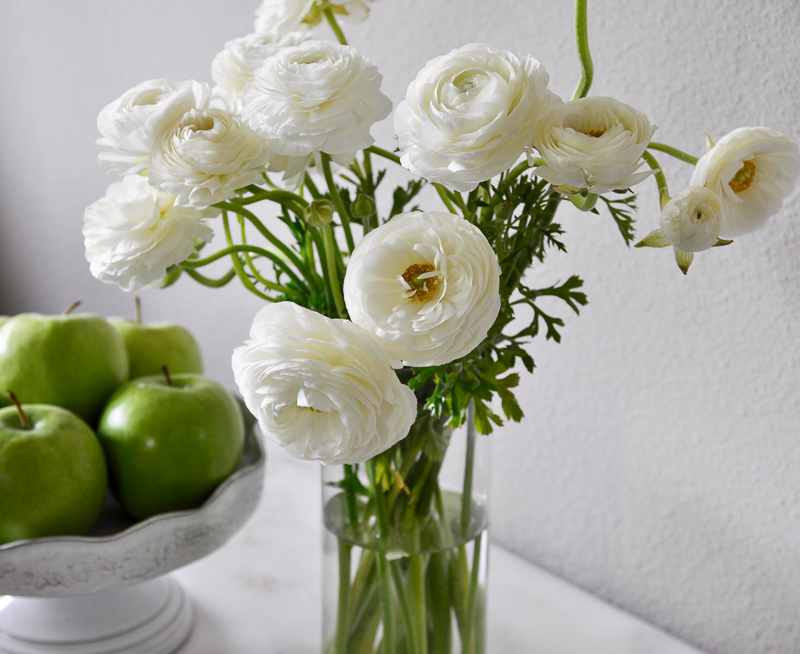 They are fabulous, as is everything in your lovely dining room!! Absolutely beautiful! Your taste is exquisite! I love every detail. So stunning! Everything just comes so beautifully together. Thank you Tana! You are such a wonderful friend. I truly appreciate your constant encouragement. Just came over from Kris’ blog. New subscriber! Your home is stunning. Can you share the wall paint color? Best, Beth C.
Love it, love it, love it!!! 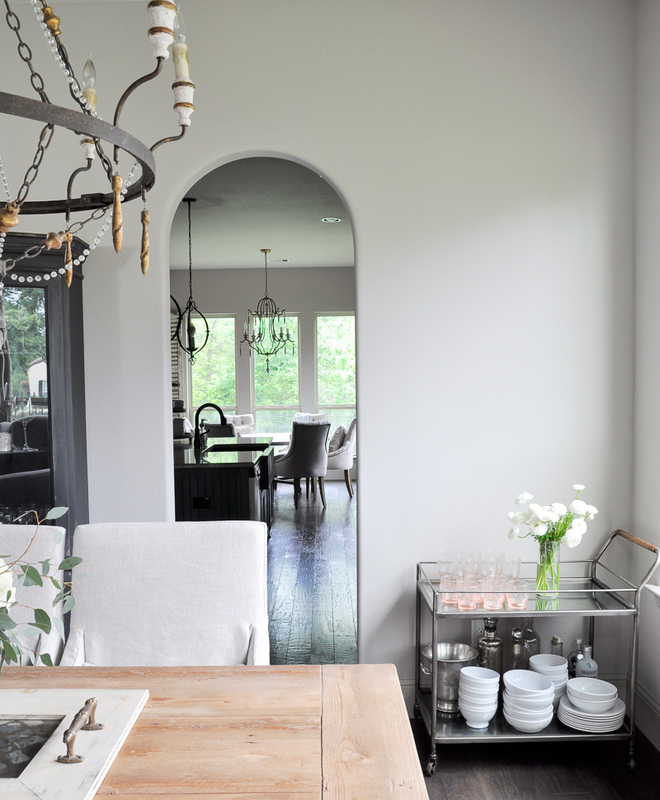 I’m also obsessed with that leaning mirror! Could you share where the table is from? Looks like RH. Love the electic dinning room! Those gold wall scones are so chic! 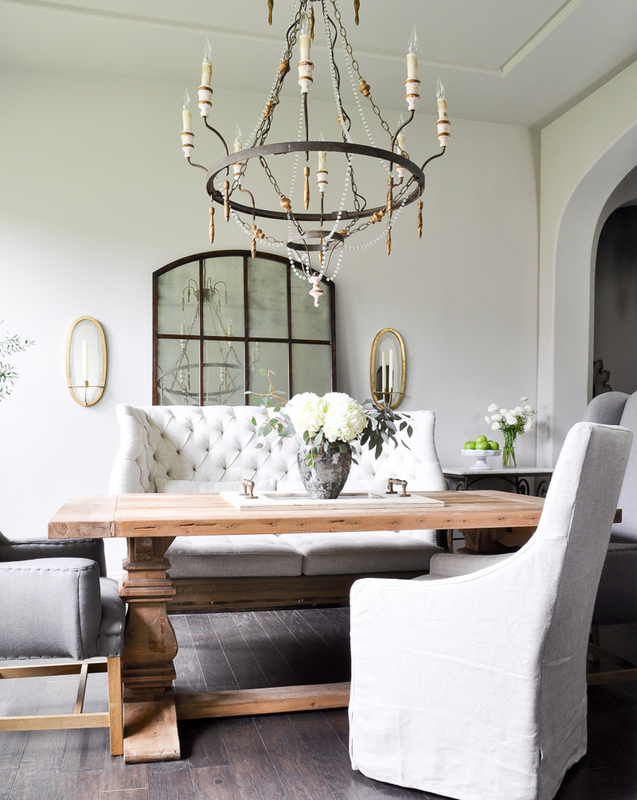 I turned out dinning room into my glam office, but if I could add another room I would enjoy something like this! Love the vintage pieces too! Thank you so much sweet Sarah! I used to have the gold sconces in a guest room and I like them so much better here, so thanks for the vote of confidence! I bet your glam office is beautiful! This looks great, I’m considering mixing industrial wooden table with more modern chairs but keep hesitating but it looks great here, the chairs I have my eye on look like what you may have in your kitchen, do you have a pic of the kitchen? Thank you! You can find one in the collage on my home tour page and there are many on my Instagram. Please find the links below. I hope this helps! Hi Jennifer, this room is stunning! 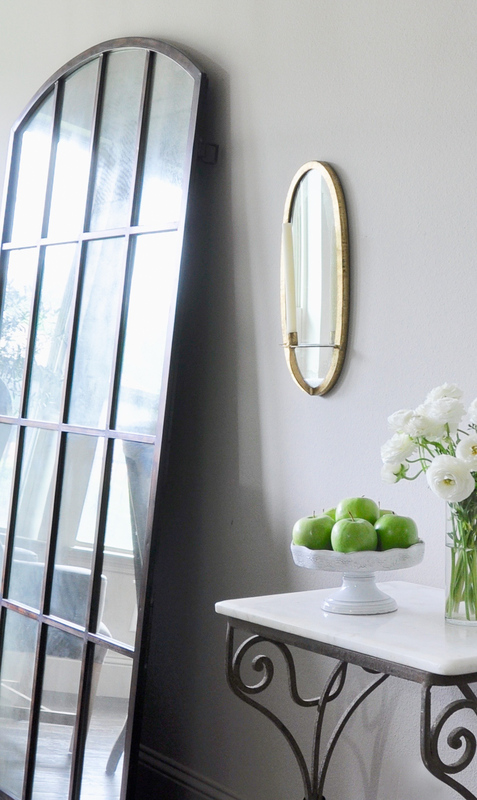 Would you mind sharing the color of chalk paint that you used to paint the storage piece? Thanks so much! Hi Jamie! Thank you! I used Annie Sloan Graphite and I added a black glaze over it. It was just a glaze I had from my decorative painting days, so I don’t have the brand anymore, but any glaze would work. Hope this helps. I love your style! Your home is absolutely stunning. 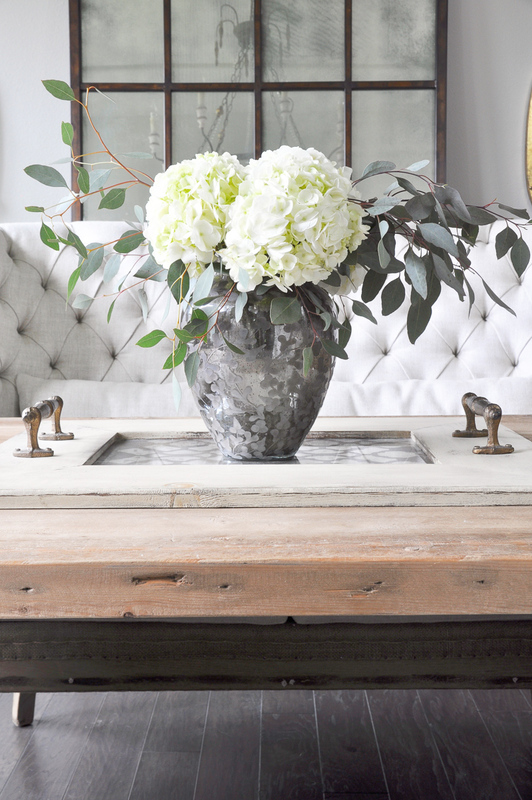 Where did you get your slipcovers from? Thank you Brooke! The came with the chairs when we purchased them almost five years ago, but I’ve seen slipcovers for sale separately online, so you may be able to purchase some if that is all you need. Good luck with your search!